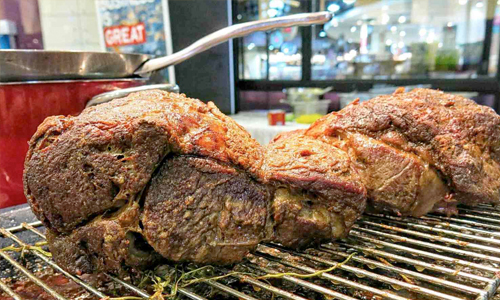 News - British Breed Native beef is finally here! Britain is blessed with a mild and wet climate which is propitious for the growing of grass and ruminant production. Some areas of the countryside can boast all year round grass growth. Black Hereford Cattle are reared in a green environment on improved pastures. 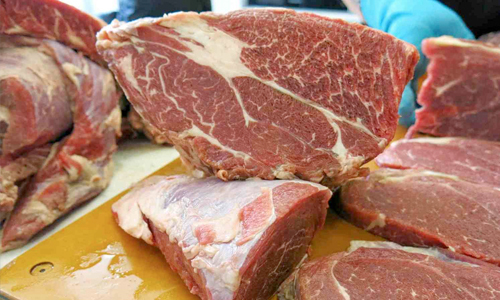 Naturally produced grass-fed beef is completely free of antibiotics or growth hormones. It is also low in sodium and high in potassium. Due to its different compositions, it has a deeper, cleaner and more complex flavor than that of grain-fed beef, although not as fat – flavour is however definitely superior. Fat from grass-fed beef contains high levels of beneficial omega-3 fatty acids. After fish, beef makes the second highest contribution of Omega-3. Grass-fed beef also contains higher levels of other beneficial micro-nutrients such as vitamin E and conjugated linoleic acid as compared to their grain-fed counterparts. The quality standard mark for British Beef provides one of the highest levels of independently inspected quality assurance for meat in the United Kingdom. This standard contains guarantees of food safety, animal welfare, care for the environment and enhanced eating quality. So what you are buying and eating is very sustainable! British Beef is packed in state of the art thick vacuum bags. Butchers of British beef have built temperature controlled dry aging rooms that allows good dry air circulation to provide the perfect conditions in which to dry age the beef on the bone. This allows the beef to develop texture and intensity of flavor using a time honored method that produces spectacular results. Some well-known establishments that serves British Beef includes Jamie’s Italian (Hong Kong), Mandarin Oriental (Hong Kong), Le Gavroche (London) and Maze-Gordon Ramsey (London). I had the privilege of trying various British Beef cuts prepared by notable chefs in Singapore and each dish turned out beautiful! Braised feather blade of British Beef with Potato and Onion by Chef Gajewski who studied in the kitchens of Guy Savoy (Paris), Noma and now cooks at The Tippling Club. Roasted rare breed, dry aged rib-eye steak by Chef Adam Peney who worked at Simon Hopkinson’s world renowed Bidendum and Morton’s in Mayfair. 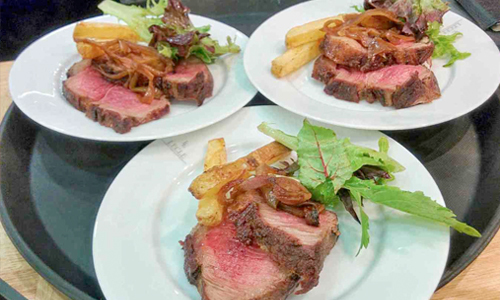 Oven roasted sirloin, pomme fries, onion marmalade and braising jus by Chef Alexandre Lozachmeur who worked at three Michelin-starred Alain Ducasse au Plaza Athenee Restaurant in Paris. 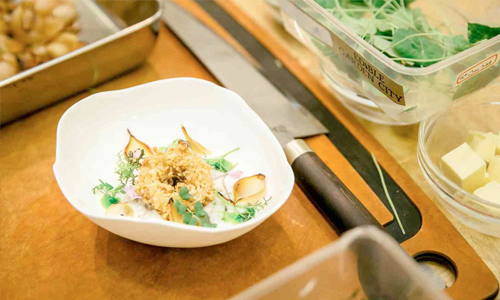 Paleron served with crispy potato “Rose des Sables” and “Marchand de Vin” sauce by Chef Brandon Foo who joined Guy Savoy then Au Petit Salut as Chef Saucier, and now heads Le Bistrot Du Sommelier. 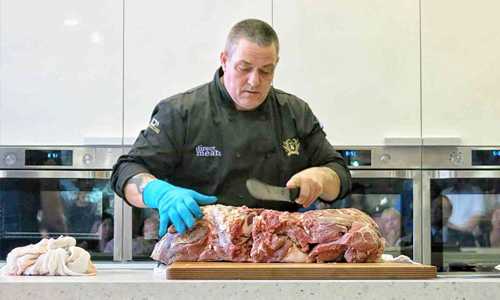 British beef is expertly butchered to give chefs and you the best cuts. 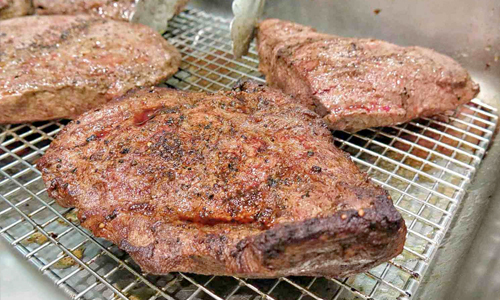 This allows for easier preparation and cooking; and it only makes sense for you to work with the best cut if you are going to invest your time and effort in whipping up that steak dish. With this, you might just be that step closer in achieving an optimal steak. 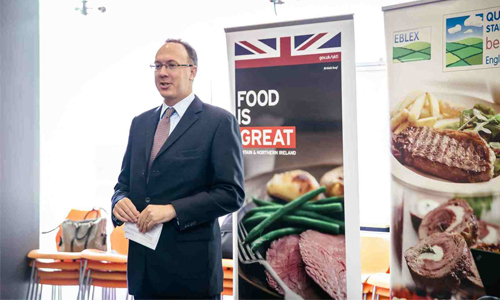 This British beef media event was organized by EBLEX, which is the organisation for beef and lamb levy payers in England, and is a division of the Agriculture and Horticulture Development Board (AHDB).